Minutes from major attractions & beaches. 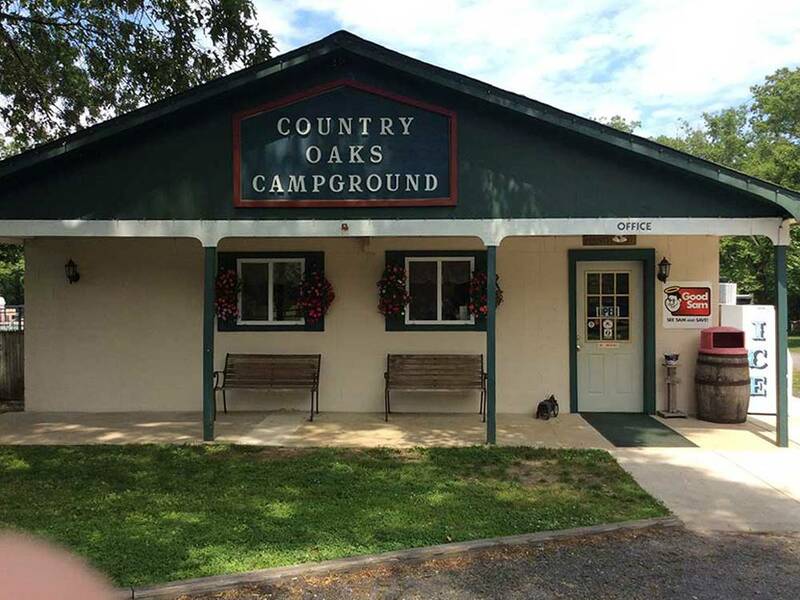 All of the amenities of a larger campground but in a small personal setting. Spectacular swimming pool complex. Come experience what's new in good, old fashioned family camping! 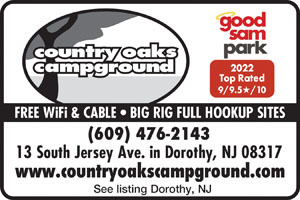 This is a hidden gem in South Jersey on the way to the south shore, if you like peaceful family camping early 2000s style. As they advertise, they do have big campground facilities in a smaller campground. Many cable channels, the pool is the size of places with 500 sites and they only have 100 or less. The kids activities are actually fun, all the arcade games work and you can get food made up, even at night in the office (a big bonus for such a small campground). They don't tolerate the unruly(lots of rules) or allow golf carts, so you can actually hear nature while there, there was not one loud or drunkard to be found. Only the sounds of kids having fun. The pull thrus are massive and most of the other transient sites can handle up to 35 ft or so. Very well kept sites everywhere and very friendly staff too. The only deltas are the bathrooms are clean but from the 1970s and there is no wifi and poor cell signal. But so what, you are camping...all you really need is texting and that works fine.